UPDATE: Trump is not a target in the Cohen investigation. Trump's personal lawyer is under the microscope for possible bank fraud and FEC violations. Well, the media has been on edge about the Russia investigation. President Trump was reportedly furious that his personal lawyer, Michael Cohen, had his residence, office, and hotel room raided by FBI agents. 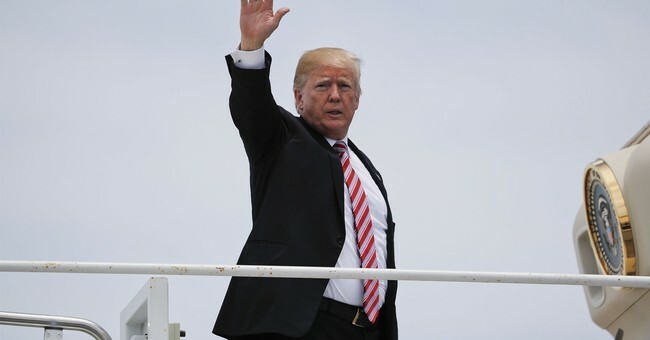 The information that led to these raids stemmed from Special Counsel Robert Mueller, who reportedly came across it and forwarded it to federal authorities, as it did not pertain to his probe into whether there was collusion between the Trump camp and the Russians in 2016. Deputy Attorney General Rod Rosenstein reportedly signed off on the raids. As to whether he’ll fire Mueller, Trump uttered the infamous “we’ll see what happens,” which has been the kiss of death to top officials, like Steve Bannon and Rex Tillerson. After the meeting, Trump told some of his closest advisers that it’s not the right time to remove either man since he’s not a target of the probes. One person said Trump doesn’t want to take any action that would drag out the investigation. The change in attitude by the president comes after weeks of attacks on the special counsel and the Justice Department, raising questions about whether he might take drastic steps to shut down the probes. The shift gives some breathing room for Mueller, as well as Rosenstein, who has been criticized strongly by House Republicans for being slow to comply with requests for classified documents. Mueller or Rosenstein being fired has spurred members of Congress to push for legislation to protect the special counsel. Senate Minority Leader Chuck Schumer (D-NY) took to the Senate floor to condemn the president's remarks on the FBI raid, while saying it might be time to bring these bipartisan bills for a floor vote. Sen. Chuck Grassley (R-IA), chair of the Senate Judiciary Committee, announced that he would allow such a bill to move forward, though Mitch McConnell (R-KY) said that no vote would be held on a Mueller protection bill, effectively killing the effort. McConnell said it’s not necessary since Trump won’t fire Mueller. It would be a political disaster that could increase chances that Republican members of Congress cross over on censure or even impeachment motions. Rosenstein oversees Mueller, so the Left would see firing either man as obstruction of justice. It’s a headache that’s not needed and totally avoidable. Trump (so far) seems to be toeing that line.